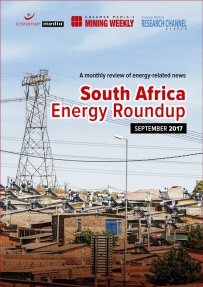 The September 2017 roundup covers activities across South Africa in August 2017, and includes details of the Constitutional Court’s refusal of an application by several Eastern Cape businesses for leave to appeal a Supreme Court of Appeal ruling regarding the implementation of the Regulatory Clearing Account mechanism in South Africa’s multiyear price determination electricity tariff-setting methodology. It also includes the Energy Intensive Users Group proposal for structural changes to State-owned power utility Eskom’s tariff for large power users and the Organisation Undoing Tax Abuse’s charges against State-owned power utility Eskom’s suspended CFO Anoj Singh. Published on: 06 September 2017.